Happy to be invited to talk about immigration on the Little Faith podcast. 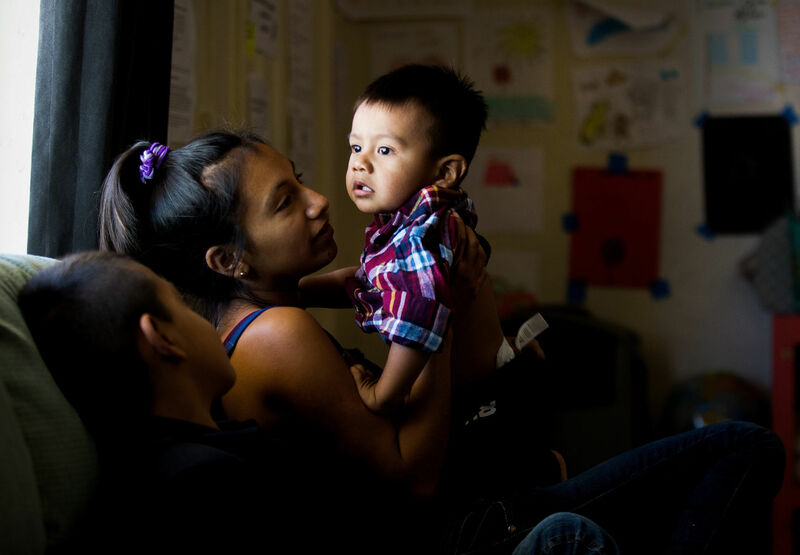 Valentina, a 25-year-old migrant mother from Guerrero, Mexico, holds 1-year-old son Edwin as 6-year-old Raudel looks on at Casa Alitas, a midtown migrant shelter operated by Catholic Community Services of Southern Arizona. Mike Christy/Arizona Daily Star. While Sister Donna Markham had seen images of children and their parents waiting outside the Nogales port of entry, the reality was 10 times more painful, she said. Markham was in Tucson Thursday as part of a Southern Arizona visit that included talking with officials of the binational organization Kino Border Initiative in Nogales and meeting with families lined up outside the pedestrian area of the port of entry waiting for Customs and Border Protection officers to process them. She also visited Casa Alitas, a local shelter of Catholic Community Services, where families arrived after being released by immigration officials — including some of those processed at the port of entry. 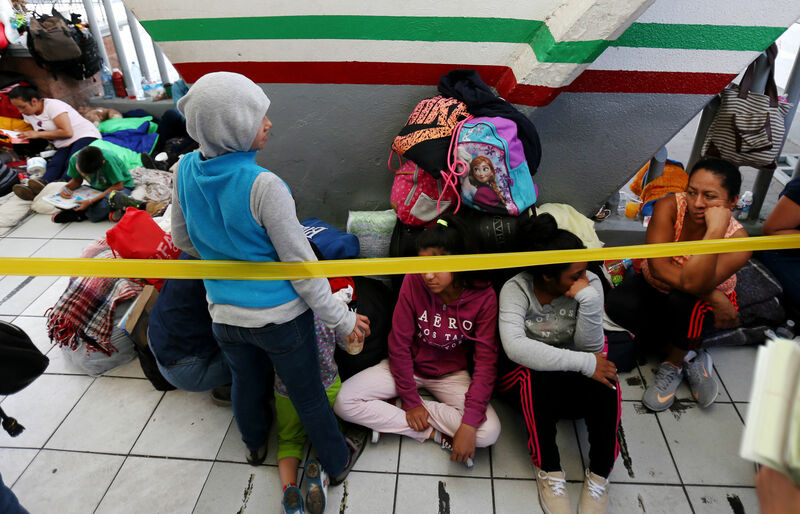 Since mid-May, the line of people, mostly from Central America and Mexico, waiting to seek asylum in the United States has continued to grow at the Nogales port of entry as the government processes a few families at a time. The month-to-month numbers of families and minors being processed at Arizona’s ports of entry don’t tell the full story of why some wait up to two weeks for an opportunity to ask for asylum, officials said Monday. “Arizona is one of the most understaffed field offices that we have,” said Todd Owen, executive assistant commissioner for the Customs and Border Protection Office of Field Operations. “The port of Nogales has 142 vacancies themselves. We temporarily reassigned officers from elsewhere to help deal with the responsibilities down there. So the variables will change month-to-month as to what we can handle and what we cannot,” he said. Since mid-May, the line of people waiting at the Nogales port of entry for a shot at seeking refuge in the United States has grown as the wait gets longer. In June, there were 742 parents or guardians and their children processed at Arizona’s ports of entry, along with 143 minors who arrived alone. That’s down from about 1,000 families and 169 unaccompanied minors in May, CBP figures show. The number of people processed, though, is not that different than in December, when there were 1,036 families and 217 unaccompanied minors who came through. There weren’t any lines then. 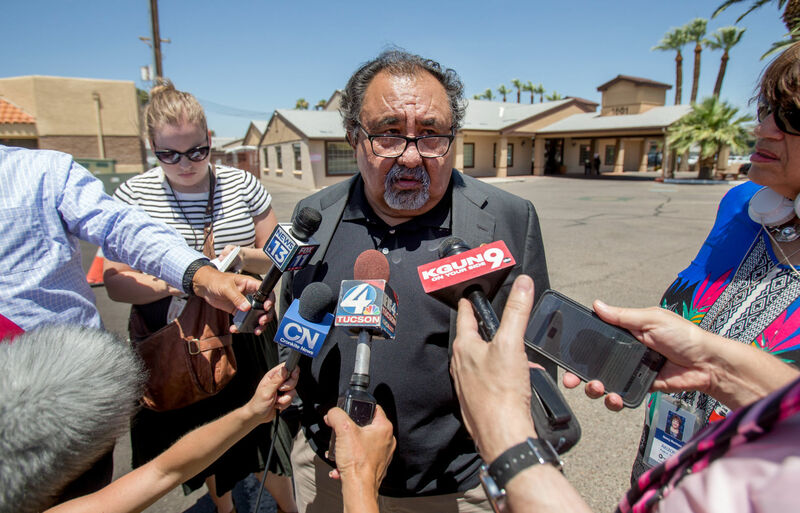 Nearly 80 immigrant children separated from their parents at the border are housed at a shelter north of downtown Tucson, U.S. Rep. Raúl Grijalva told reporters Friday after he toured the facility. Since the Trump administration implemented a “zero tolerance” policy for border enforcement, there have been 3,000 children reclassified as unaccompanied minors across the U.S.-Mexico border, including about 100 under the age of 5, after their parents were referred for prosecution for crossing the border illegally. But government officials have refused to provide local numbers. Casa Estrella del Norte, the shelter visited by Grijalva, is one of about three in the Tucson area. There are at least nine others in the greater Phoenix area, according to a map put together by ProPublica. There are about 300 minors currently housed at the shelter — about 60 girls and the rest boys — which is operating at capacity. Grijalva said the focus at the moment is to expedite the reunifications of those separated from their parents, which is taking about 45 days.